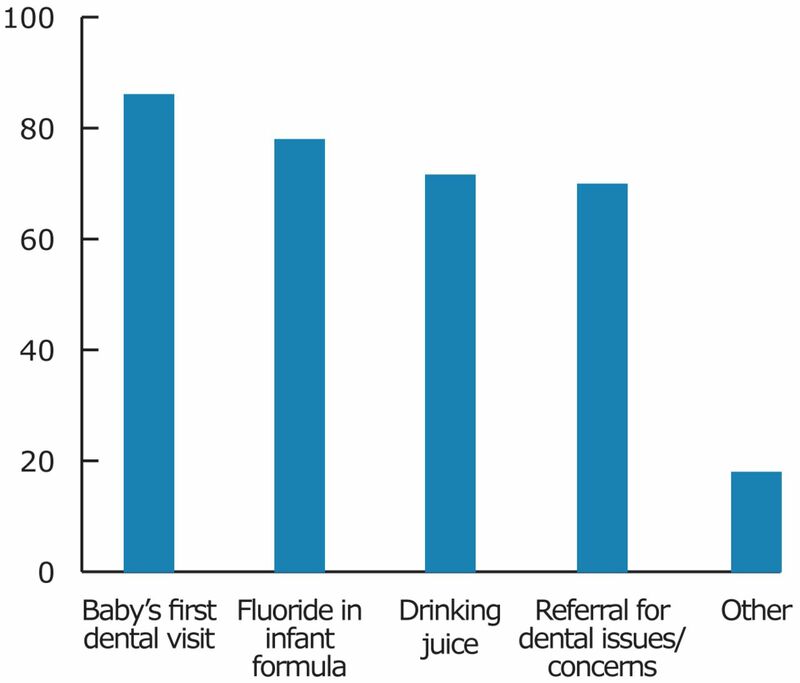 In Routine Certification and Recertification Appointments, are the Following Questions Adequate for Assessing Dental/Oral Helath Risk (percentage) (n=47)? 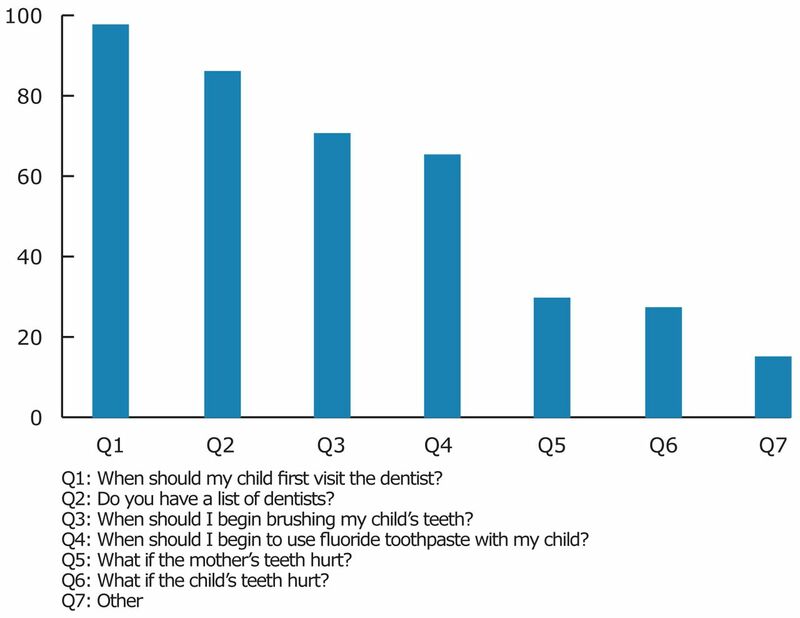 Are You Interested in Other Dental-Related Risk Questions to Make Referrals (percentage) (n=43)? 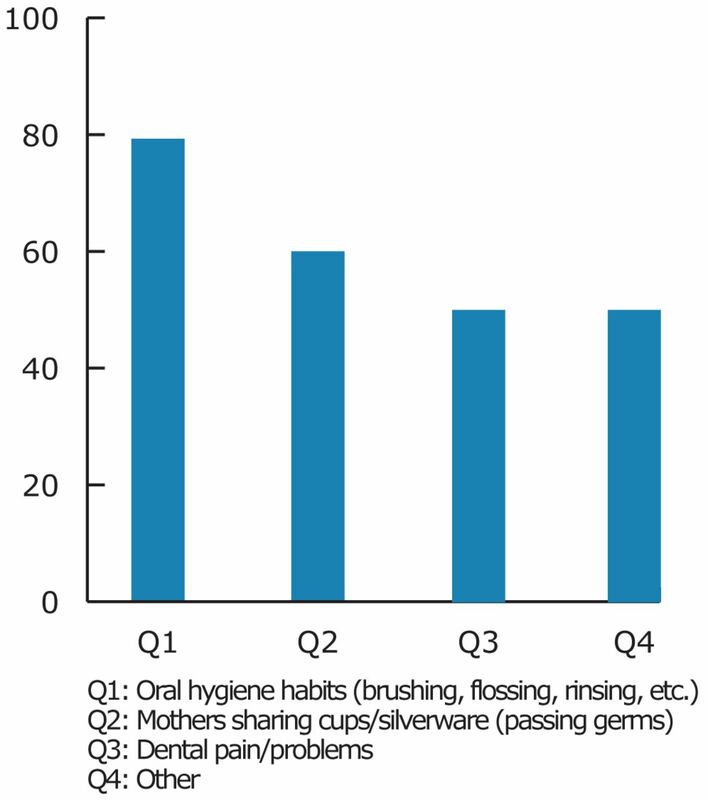 What Questions and Concerns From WIC Clients Related to their Dental/Oral Health Have You Experienced (percentage) (n=47)? 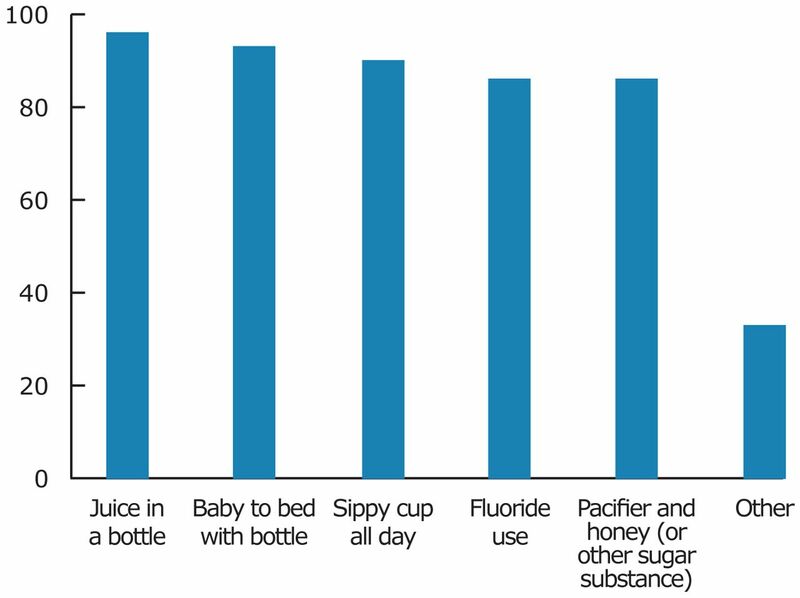 Topics Requested for Additional Oral Health Training (percentage) (n=37). 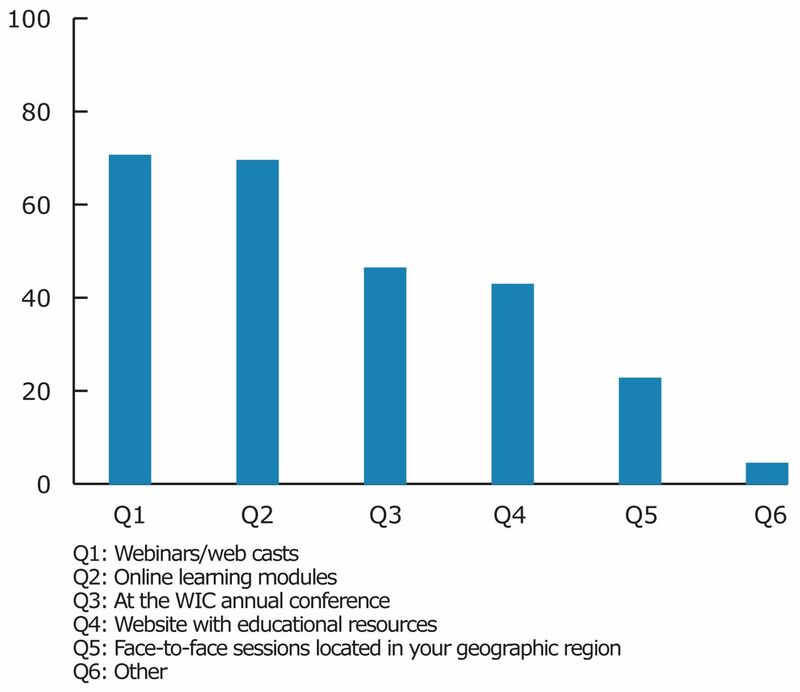 How Would Your WIC Agency be Interested in Having this Training Provided (percentage) (n=48)? 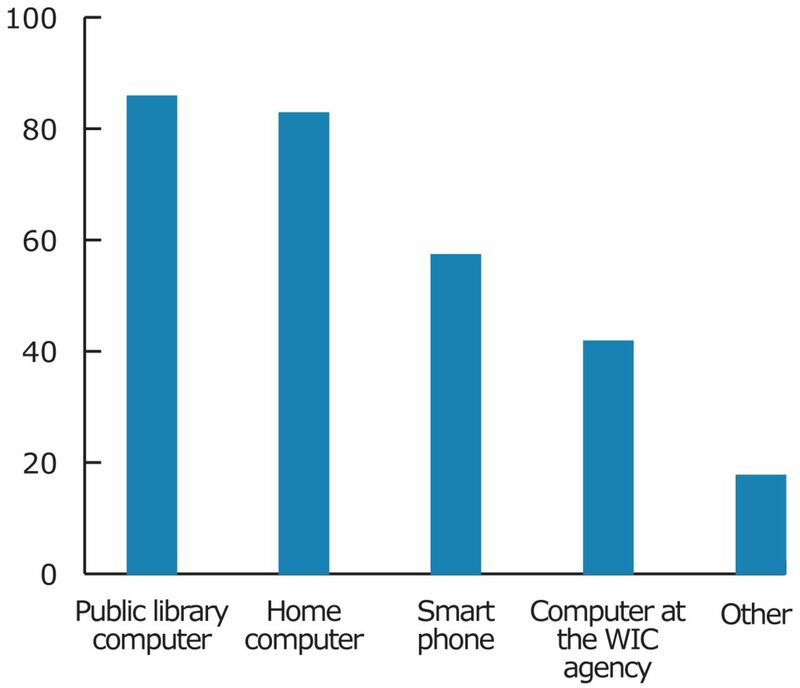 Do Your WIC Clients Have Access to Any of the Following (percentage) (n=46)?